You'll be £19.99 closer to your next £10.00 credit when you purchase Imperial General. What's this? Petilius Cerealis is one of the few Imperial Roman officers, below the level of Emperor, whose career it is possible to follow in sufficient detail to write a coherent biography. Fortunately his career was a remarkably eventful and colourful one. With a knack for being caught up in big events and emerging unscathed despite some hairy adventures (and scandal, usually involving some local wench) he appears to have been a Roman version of Blackadder and Flashman combined. 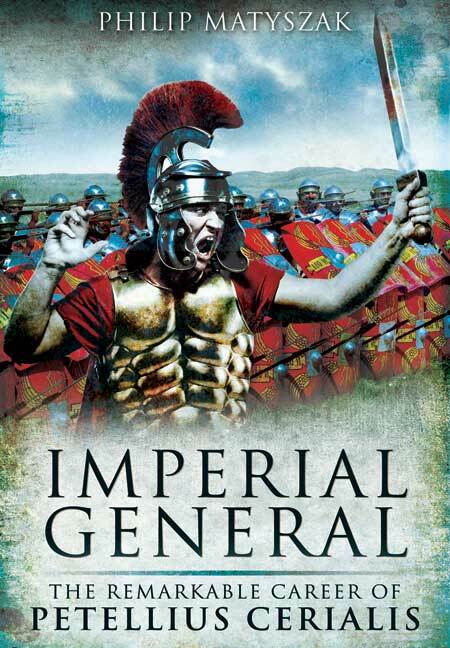 'Imperial General is both a fascinating insight into the life of an imperial Roman officer during the period of the Principate, and a rollicking good tale told in Philip Matyszak's trademark lively style. An extremely enjoyable analysis of Rome during a period of instability and internal strife. Matyszak has done a commendable job at unraveling the complexities of this period and highlighting the role of Cerialis in the success and re-establishment of stability within the Empire. Anyone, professional historian, those with a casual interest in Roman Imperial intrigue or those looking for an interesting read, will all be satisfied with this book. There are plenty of black and white photos to enliven the reader with some visual aid. The author writes in a style that I clear and erudite without being totally dry. His attempt to humanize the individual behind the faceless legions largely succeeds. Contained within Imperial General is a nice summary of military politics in the Principate with a more personal angle than usual. You’re left in no doubt of the hazards of seeking senior positions, or how easily legions chose their affiliations and loyalties. Where this book succeeds in more than any other aspect is making very clear the delicate and potentially lethal balance between politician and soldier. As we’ve come to expect from Philip Matyszak you will find a well written and observant account of the life and times of Petellius Cerialis. A biography that is well worth reading.